Childcare choices for under 3s – childminder vs. nursery. It is a truth universally acknowledged amongst parents that choosing childcare, especially when you are returning to work after having a baby, is, to say the least, difficult. Whatever you choose will be second best, a compromise, compared to the loving, sensitive and responsive care you can give your own child. The childminder or nursery question can be a source of endless debate, but I often wonder if everyone really gives childminders serious consideration, and I feel it’s a shame not to. Before having a child, I had never considered the possibility of a childminder, I always thought nursery was just ‘the done thing’. It wasn’t until I was lucky enough, whilst on maternity leave, to discover that one of my neighbours was a childminder and able to introduce me to a whole network of other childminders operating in my area that I started to consider this as a serious option. Many parents have heard that a childminder may be a better choice than a nursery for babies. Something to do with being cared for by one person…. Despite nurseries’ claims that they can provide infants with this essential bond with a trusted carer through ‘key worker’ schemes and low staff/child ratios, the reality is that many nurseries employ very young and inexperienced staff, and have a high staff turnover. This compared to childminders who are often mothers themselves, may have been childminding for some time and gained considerable experience, and can provide a stable home from home environment, often makes me wonder why so many parents opt for nursery over childminder, especially when costs are very similar. I also wonder if perhaps some parents have a false image of their child sitting in a childminder’s home all day doing nothing, only leaving the house to accompany the childminder on a trip to the supermarket. “What About The Children” might argue that this would not be such a bad thing as long as the child is getting their attachment needs met; “Very young children need individual attention and love. They learn good social skills from imitating responsible adults. It is a myth to claim that being in social groups with other very young children somehow benefits babies.” In any case, this false image of childminder care is, in my experience, far from the reality. All the childminders I know have a schedule of activities that they attend everyday of the week, mostly toddler groups, but also local parks, farms, museums and other children’s activities, where the children will receive the stimulation and learning opportunities that they would in a nursery, along with the benefit of getting out and about to different places instead of being stuck in the same old nursery everyday. The childminder will also have other children that they care for, and their homes are typically well equipped with a range of stimulating activities, rather like a mini nursery. In addition your child may benefit from the experience of mixing with older children for a short time each day if the childminder collects their own and/or other children after school. One other objection I hear from parents when considering the childminder/nursery issue is a concern for their child’s safety. Firstly, they feel their child is safer when confined to a nursery building & grounds, rather than being taken out and about. This is understandable – it’s a scary thing trusting the care of your child to someone else. But is it really well founded? I doubt if there has been any research that shows a higher death or accident rate for child-minded children compared to children in private nurseries. Secondly, they feel uncomfortable putting all their trust in one person. Choosing childcare is of course a very personal thing, but if you’re lucky enough to find a childminder you’re happy and comfortable with, it could have been well worth the search. There is of course the convenience factor. Childminders go on holiday, get sick, and might not work as long hours as a nursery is open. Everyone has different degrees of flexibility in their working arrangements and childminders just might not work for some. I am not saying all childminders are good any more than I am saying all nurseries are bad. I just want to expel some common myths, share my own thoughts, and perhaps encourage parents to give more thought to both options. This article from Nursery World may be of interest. Also, an article from Annelize Cruz of Free Range Childcare. This entry was posted on Thursday, July 14th, 2011 at 4:37 pm and is filed under School & nursery. You can follow any responses to this entry through the RSS 2.0 feed. You can leave a response, or trackback from your own site. 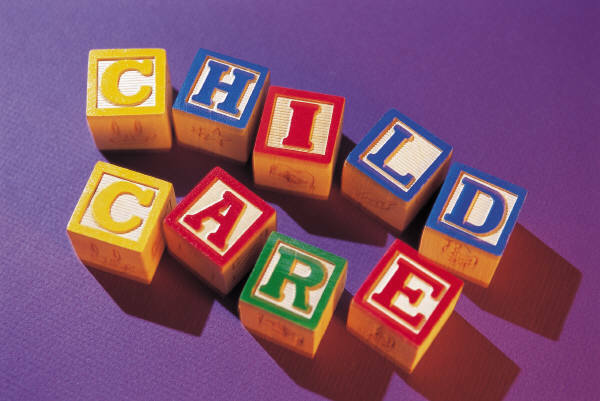 10 Responses to Childcare choices for under 3s – childminder vs. nursery. I think you’re being rather unfair on Nurseries. Not many have high staff turnover and exclusively young, inexperienced staff. Through having a key worker, children and their parents are given a central attachment figure, or if older can choose another member of staff with which they feel more comfortable. There is also no guarantee that the child will not feel the same stress being left with a childminder as with a nursery. One could argue that it would actually be easier for a baby to find someone they want to make an attachment to with more choice of staff. Both Childminders and Nurseries have the same child to carer ratio, so a baby is unlikely to get 1:1 with either (especially with a good one), and I am pretty much certain that every parent looking into their childcare options are aware of this. You state that putting all your trust in one person is limiting the number of people able to spot potential problems you and your baby might have to contend with. A safety in numbers type thinking. In my experience, and I accept it is possibly just the area I live in, it is also very difficult to find a good Childminder to take a baby part time. Meaning that either a parent would have to enrol for a fulltime place which, let’s face it would for most people be financially crippling, or plump for a Childminder they feel less confident about. Any childcare is only as good as the provider and parents relationship. As I said in my post, I’m not saying all nurseries are bad. The key worker scheme is well intentioned and a move in the right direction, however, your notion that a baby could ‘find’ someone to form their attachment with from a choice of staff sounds rather naive. 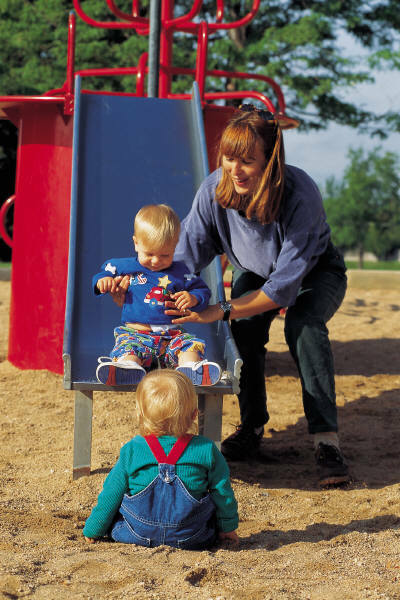 Babies form an attachment through having their needs consistently met over time by one particular person, who in turn develops a deep understanding of the baby’s needs, enabling them to respond to their cues promptly and consistently. The very idea of a baby being left with a sea of strange faces, none of whom they have an attachment with, is exactly the type of situation to be avoided. The parent should not leave the baby until they have at least started to form a secondary attachment. (see my other post “Settling in to childcare“). I have not suggested that child to carer ratios are different with a childminder, just that the child has a better chance of forming that special attachment when they are being cared for by one person. Neither am I saying that this is not possible in a nursery, just that the evidence suggests it is less likely. Obviously, childminding is sadly not an option for parents who work part-time and live in an area where it is only offered full-time. I am fortunate in that this has not been the case where I live. I enrolled my ds1 into a nursery at 2yo on the advice of my Health Visitor because of his speech delay. The keyworker scheme has worked brilliantly for us, ds1 has his go to person, she spends lots of time with him working on what he wants to. She knows I am very much into AP, and the Nursery work with us to ensure that ds1 is cared for in a manner I find works for us. Childminders, adittedly again this maybe area dependant, were reluctant to do this. They had their routein and they stuck to it. Also, their ratio’s are higher than the lovely little rural nursery he attends, currently at a 1:2 ratio, as opposed to 1:3 ratio childminders offer. I’ve found, generally not just here, that people are too quick to cast asside the idea of a nursery in favour of a homely childminder. Lovely to hear about this. It sounds like you’ve found a lovely nursery – it’s great when you find something that really works for you and your child. Interesting that your experience is that people don’t give nurseries proper consideration over childminders – I have found the opposite to be true where I live, which is what prompted me to write this post. It sounds like it is very much area dependent. We went through this decision when I had to go back to work and I found a third way – we joined a nanny share with two other families and have had one wonderful, caring and empathetic nanny for two years now. She worked with us to look after our child in the way we did ourselves and our daughter has had an incredibly close attachment to one other caregiver for the whole time. The cost is slightly less than a nursery would be as we all share. I can’t recommend it highly enough! as a childminder I would just like to say on the topic of hours, I believe nurseries open 8 to 6pm I know of at least 1 childminder who starts work at 6.45am for one family, and I know of lots of childminders who work later than 6pm, I have not heard of any nurseries that would be able to accommodate this. also we attend regular training, work with the Early Years Foundation Stage – just like nurseries and playschools do – and also have Ofsted inspect us. I have worked as a nursery nurse for 9 years after doing my level 3 back in 1999. I have seen many bad things as well as good things within different nurseries. but will also say I don’t believe some minders should be working with children the same as some members of staff within nurseries, some are great some aren’t. Both nurseries and childminders offer different things and have a wide range of different experiences and skills..
As a parent to three children I know it is hard for parents to find the right care, you have to go by how you feel with the visit ask lots of questions and check out ref’s. If at a nursery try to wait around for other parent’s and ask what they think of the place. Not a lot of parents know what childminders do day to day. If off on holiday we have back up childminders who can help with cover, and the children will know them from groups ect. I do wish we were more widely known about given more credit for the job we do. As a childminder I wouldn’t presume to judge a nursery, I can only report that in 24 years as a childminder I have had several children after a negative experience of nursery care and worked very hard to restore both the childs and the parents confidence in childcare. I think parents need to find a childcare option that suits their individual child and if their first choice doesn’t feel right change settings, we only have one childhood, lets have a happy one. I’ve been childminding for 24 yrs. I’ve done early starts, late finishes, weekend care, plus over night care. I also offer part time & full time care. A lot of the children I have looked after have been babies & some have left when starting school, some are still with me. I now offer 2/3 & 4 yr funding, giving parents even more choice. I am always doing courses. I think nurseries have more people coming & going, as for some it’s just work experience. My granddaughter who lives in Jersey is already on her second key worker & hasn’t been there long. I don’t think it will affect her as she is very confident & bright little girl. Every parent is looking for what suits their child. One thing I will say is that parents should be given more information about what childminders can provide.